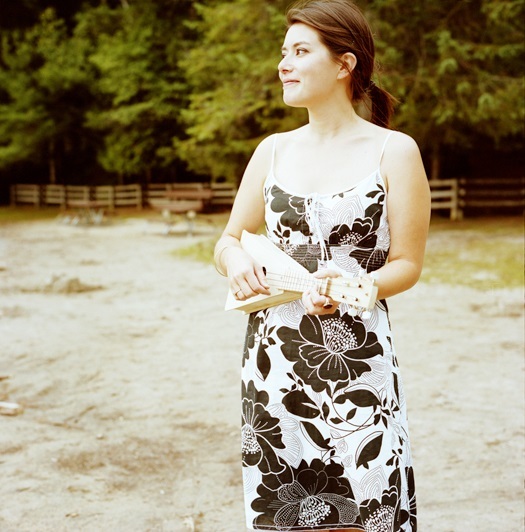 Amanda Bon formed her band in 2010 with the goal of recording and releasing the best of her songwriting up until that point. She assembled some of Ottawa’s most seasoned and talented players to complete her vision and in September 2011 they released their debut album, ‘Juniper Weekends’. Since then they have been playing regularly in and around town, steadily building a loyal fan base and gaining attention from local media. Each member of the band (Danny Artuso, guitars, pedal steel; Ken Kanwisher, bass, accordion; Gilles Leclerc, mandolin, guitar) brings a personal touch to the overall sound and together they form a tight unit with palpable ‘good vibe’ on stage. Whether you want a chorus you can tap your foot to, jaw dropping instrumentals, strong lyrical content or catchy melodies, you’ll like this band. They keep the arrangements clean, their voices blend beautifully and each player’s talents are used to serve the song…because after all, the song still comes first. Métis singer/songwriter Rheaume is a powerful vocalist with just a touch of grit and an instantly-accessible roots-pop-Americana sound. A $40,000 winner in Live 88.5’s 2008 Big Money Shot competition, Rheaume is not only a regular at local festivals and joints like the Rainbow Bistro, she has also distinguished herself as one of the city’s, if not the country’s, most selflessly giving musicians. She organizes Ottawa’s Bluebird North songwriter showcases, she participated in the Babes for Breasts tour to raise money for breast cancer, she recorded a charity Christmas EP for Boys and Girls club of Ottawa – selling 6500 copies just in Ottawa, she donated a dollar from each album sold during her last tour to a fund for the families of military personnel, and she’s even performed for the troops in Afghanistan…twice. Now, having paid her dues as a grassroots musician-in-the-community, and having cleverly taken her time to develop and refine her sound, Rheaume is ready to showcase her talents to a wider audience with Light of Another Day…a collection of catchy, country-tinged tracks, notable at times for their airy upbeatness and at others for their goose bump-inducing tenderness. Though most non-Ottawans have never heard of her, Rheaume has endeared herself to an enormous network of Canadian artists she now considers friends, including well-known names like Chantal Kraviazuk and Holly McNarland, the latter of whom cowrite “Kiss Me Back” for Rheaume’s latest CD. Now with the release of Light of Another Day, non-musicians will finally have a chance to discover what those other artists have known for some time: that Rheaume is an instantly-likeable artist both on and off the stage and one whose got the voice, the sound and the songwriting chops to share stages with the best. Big Soul Project is looking forward to bringing its joyful music and big sound to the 2013 Grassroots Festival on April 28th. Big Soul Project (BSP) along with its talented band, “Deep Groove” entertain and inspire audiences with its joyful energy, and bring songs of peace, hope and joy to audiences around the Ottawa area. Roxanne Goodman has been BSP’s Music Director for more than five years. In addition to her passion for music as an expression of community empowerment and inspiration, Roxanne brings a wealth of experience as an accomplished vocalist, composer and pianist. Under Roxanne’s talented direction, Big Soul Project performs music from many genres: gospel, R&B, rock, Motown, reggae, pop, blues. Past performances include Bluesfest, Westfest, CBC and the Black Sheep Inn, to name just a few. BSP has supported many fundraisers in the area, including the Grandmothers to Grandmothers Campaign, Immigrant Women Services Ottawa and Wakefield’s new Community Centre. Last October the choir experienced the thrill of taking the stage at Scotiabank Place, joining the one and only Barbra Streisand to sing in her finale. Big Soul Project is proof that music, like a choir, is more than the sum of its parts! Folka Voca is the Ottawa Folklore Centre Wednesday night community choir. This group of 50+ people is constantly having a big bunch of fun rehearsing and performing around town. Folka Voca began 8 years ago with the direction and vision of the Fabulous Lee Hayes; vocal coach, recording artist, award-winning songwriter and CFMA nominee. What makes this choir unique (besides the extreme fun factor) is the arranging; all the arrangements are by Director Lee Hayes, in 4-7 part harmony. Folka Voca’s repertoire is contemporary pop/folk/funk, with an emphasis on songs by Canadian songwriters. Folka Voca rehearses every Wednesday night from 7-9pm at Sunnyside Wesleyan Church, 58 Grosvenor Avenue, Ottawa, Ontario. Award-winning Canadian songwriter Lee Hayes is a full-time singer, songwriter, arranger, and voice teacher. She is known internationally for her A Cappella groups Malaika and Cantarra, and on the TV network Showtime for her song “I Should Have Been David Duchovny’s Bride” (Californication). Locally, Hayes has become Ottawa’s busiest choir director and vocal coach! Hayes channels her passion for music as Choir Mistress Extraordinaire for the Ottawa Folklore Centre’s 50-person community choir Folka Voca, and for the OFC’s daytime folk choir, the Sunshine Choir. In addition to her choirs, Hayes regularly teaches Pop, Folk, Funk, Jazz, and World Beat Vocal Harmony classes at the OFC. Hayes also teaches individual and small ensemble vocal classes, and also conducts a week-long Vocal Harmony workshop in Cuba every winter. 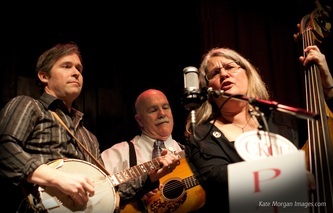 Maple Hill is an award winning bluegrass band that brings energy, emotion, and entertainment to their show. Built on the foundation that “it’s all about the song”, the band delivers strong vocals supported by tasteful instrumental backup rooted in traditional sound, yet fresh and inspiring. Co-founders Garry Greenland and Pat Moore are joined by banjo player Sean Lundy, who is quickly “earning his stripes” as a solid and well respected musician. When filling out a four piece sound, Maple Hill invites the best to join them, like Kevin Golka of Concession 23, or Gilles Leclerc, of the Dusty Drifters. Founded in the early 1980’s, Maple Hill played bars and festivals throughout the Ontario, eastern Quebec, and northern New York State regions. After winning “Recording of the Year” in 1988, band members moved on to other projects, and now they are back at it, having reformed the band in late 2011. A veteran of bluegrass, Garry went off to play banjo for Frank Wakefield when he was still too young for a legal drink, and later played for the late great Charlie Moore. He’s shared the stage with bluegrass legends Bill Monroe, Jimmy Martin, and many others. From about 1970-73 he played with the popular band Cody with Mike O’Reilly, and later was a regular fill-in with the Humber River Valley Boys. He has been featured in several bands, and is a sought after session player, advisor, and producer. 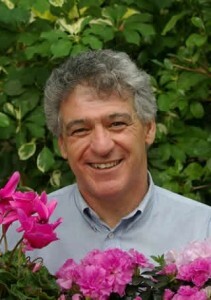 In the early to mid eighties, he co-founded Maple Hill. In addition to his performances, Garry is an accomplished and highly respected bluegrass teacher. For over 30 years he has taught Scruggs style banjo, mandolin, guitar, and “band” classes (teaching folks to play together, to understand the music as a whole and to support the singer and each other.) Garry has taught dozens of serious players who have gone on to be successful band members. Pat grew up in a house full of music – from show tunes to folk, rock, and pop. Her voice has a warm and expressive quality, as perfectly suited to a rich ballad as it is to an up-tempo power song.. She honed her skills playing dog-house bass and singing lead and harmony in Maple Hill in the 80’s. Later, Pat ventured out on her own, writing, and releasing her debut solo CD, The Time’s Never Been Better, followed by her second CD, Take it to Heart, with her band The Vinyl Frontier. Audiences love her heartfelt performances! Pat is the creator and producer of the (annual) Ottawa Opry in support of Amnesty International, producer of the annual Christmas GOOSE concert (the Ottawa Food Bank), and a popular show host on CKCU. Recently she has added “childrens’ author” to her credits with the 2011 publishing of Clean Water for Lukong,. Hollis Morgan is an Ottawa singer songwriter and multi-instrumentalist accomplished on guitar, banjo, dobro, and a multitude of other music making paraphernalia. With his wifeKate he runs Constant Sound Studio providing recordings, photography and graphic design for local musicians. He readily admits his main job now is as President of Spirit of Rasputin’s Arts Society, Ottawa’s lively and growing not-for-profit folk music society. If he is not at the Rasputin’s information table you will most likely find him at the soundboard during a concer or on stage with his dobro for the Musical Instruments – Watch and Try workshop. He and Kate have recorded two CD’s, The Last Chore and Sugar Babe. You are invited to participate in a free workshop…. led by singer-songwriter Missy Burgess. To register your child, contact workshop leader Missy Burgess by e-mail at burgesm@algonquincollege.com or by phone at 613-230-3723. Step 1. Register in advance with workshop leader Missy Burgess. There is no charge to participate. Step 2. Meet from 10:00 AM to 12:00 pm on Saturday April 26 at St. Barnabas Church, 70 James St., corner of James and Kent. That is 2 short blocks South of the Legion. Use the entrance off Kent, rather than the main entrance on James, which will be locked. Step 3. The children perform the new song as part of the evening concert that same day (Saturday) at 7:35 PM on the second floor (the Grass Stage). I am looking forward to seeing this again this year – it was great last year! Missy Burgess is an Ottawa-based singer-songwriter who has released 3 CDs and loves working with children. Her website is www.missyburgess.com. Spencer Scharf, Ottawa folk rock & blues one-man band with more instruments than a surgeon – guitars, banjo, uke, mandolin, harmonica, keyboard – even a cigar box guitar! Featured on CTV Morning Live in 2012, Rogers Daytime TV & CHIN-FM Radio – the Gaelic Hour, two-time City of Ottawa music award winner, Spencer has performed at Ottawa Bluesfest twice, the Folk Festival, for the Irish Ambassador, the Mayor, at the Governor General’s & countless community events and venues in town and out including children’s events. This versatile musician also regularly provides beautiful instrumental guitar music for art shows, special events, and receptions. voice and performs with a sweet mixture of engaging candidness and unparalleled musicianship. Suzie performs powerfully as a solo act, as a duo or as a full band. She has toured nationally with Stuart McLean’s The Vinyl Café and the John McDermott Band. Suzie made her New York City debut in 2011 supporting John Hammond at a free outdoor stage in Madison Square Park Conservancy and has performed for Canadian Peacekeepers in Bosnia and the Persian Gulf. She was also the voice of Tim Horton’s for 5 years. Suzie’s latest full-length release is a solo acoustic blues album entitled Me ‘n’ Mabel which was produced by Danny Greenspoon; and in May 2012 she released Live At Bluesville which includes 8 blues, roots and gospel songs that were recorded by Bill Wax at Sirius/XM in Washington, DC. A just-for-fun mens’ choir led by Chris White. He’s played and recorded with some pretty big names in the business, straddling several genres. Shania Twain, The Dixie Chicks, Gordon Lightfoot, Sylvia Tyson, Keith Urban, Jane Siberry, Patty Loveless, Emmylou Harris, Quartette, James Keelaghan, Cindy Church, Terri Clark, Tommy Emmanuel, Paul Brandt, Bob Snider, Katherine Wheatley, Suzie Vinnick, Lynn Miles, Prairie Oyster… the list is endless. He’s won the CCMA Guitar Player of the Year 6 times (1995 to 2001). Received a Juno nomination for his band Coda the West. Plus his live CD “The $#!T Hits The Fans” was nominated for the Album of the Year (2006 CCMAs). “Ménage A Moi” is his first all instrumental CD and it’s aptly named. He played all the instruments on it himself and recorded it in his home studio. It’s a throwback to his guitar heroes, Chet Atkins, Merle Travis and Jerry Reed. All original tunes with the focus on melody. Because as he says, “If you can’t sing it, whistle it or hum it, it ain’t much of a tune.” The album won the 2010 Canadian Folk Music Award for “Best Instrumental Album”. Wendell has garnered 9 CCMA Awards, an OCPFA Lifetime Musician Award and was twice nominated for a JUNO. He is proud to be appearing at Ottawa Grassroots Festival. Wendell Co-hosted the 2005 CCMA Awards show with Paul Brandt. The show was nominated for a Genie Award. Wendell has won the CCMA’s Guitarist of the year for 2000-2001. Was nominated for the CCMA “Vocal Collaboration of the Year” for the duet with Prairie Oysters’ Russell deCarle for “If You’re Gonna Be A Cowboy” in 1999. Can be seen touring the country with Duane Steele, Quartette, Katherine Wheatley , Cindy Church and Susie Vinnick.